Your life is busy as it is, so don’t make it busier by having to call a plumber for a persistently blocked drain. When you hire the right people the first time you won’t need to worry about new issues cropping up every now and then. For blocked drains Hawthorn, Drain Solutions is the number one name for all kinds of underground management services and we have over 40 years of experience to prove it. With us, drain blockages will be a thing of the past. Drain Solutions is a specialist in all kinds of issues that require in drain repair or blockage clearing services. If your drains or pipes cannot be lined, we can replace what needs to go. First we clear the blockage, and then we pinpoint which exact part of the damaged sewer pipe or drain has caved in or is affected by root intrusions. 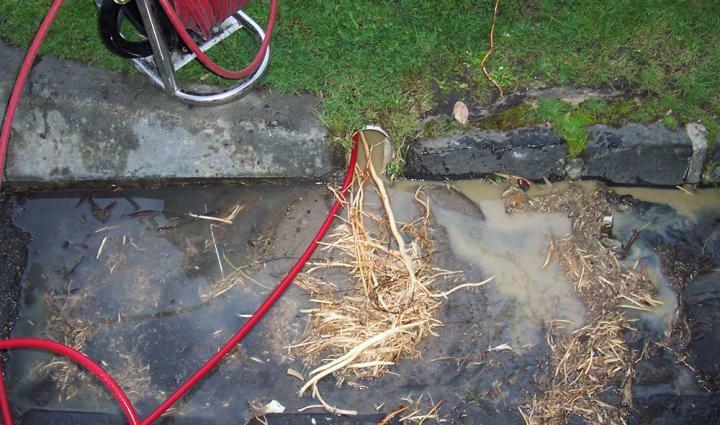 Roots can indeed wreak havoc in your drainage system, whether in part or full. That is why you need a true expert who is equipped, not only with the right people but also with the right equipment in order to achieve the right results. Our high-pressure water jetter can be used to clear roots that have found their way into your pipes. However, if the roots are big and are actually causing your pipes to break, then you need pipe relining, which means parts of the drain line or the whole drainage system will be replaced. We have performed countless drain relining repairs on sewers and storm water drains, along with repairs and replacements when drain relining isn’t possible. In any case, the best way to address your specific problem is to call Drain Solutions as soon as you suspect there are problems. Don’t assume that your drain blockage will melt away without the right help. With our pipe relining technology, we’ll take a peek and see what’s wrong. Book an appointment with us today!